Welcome to the Vtech SpongeBob Laptop Giveaway! 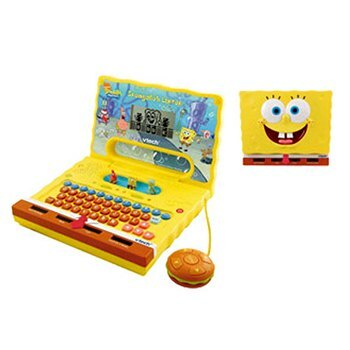 Vtech SpongeBob Laptop which you can give to your son/daughter as a Christmas present! graphics and wacky sound effects. A black-and-white 3.75"
with SpongeBob. Dimensions: 10.1"L x 8.2"W x 2.4"H.
Weight: 2 lbs, 13.6 oz.